Program Host: "Every Day is a Learning Day!" Education's Business: Taking Positive Actions! 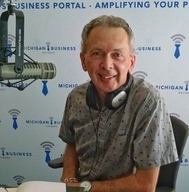 As a host on the Michigan Business Network, Karl focuses this program on the successful collaborations between K-12 educational projects and their business/industry partners. With an emphasis on STEM (Science Technology Engineering and Math) as well as Career and Technical programs succeeding around the state, lead teachers, students and business partners reveal their insights and positive actions! Each 6 minute segment articulates the work of great teachers and leaders with amazing stories. Archived podcasts are available for listeners to enjoy at their convenience. Elk Rapids (Michigan) High School Zero Hour Jazz Band!